Tighter security measures are expected at a southwest Ohio military base as it conducts training exercises to test base responses to emergency situations. The Dayton Daily News reports that the exercises at Wright-Patterson Air Force Base near Dayton were starting Monday and will continue through the week. Officials warned that temporary closings of entrance and exit gates and blocked roadways could cause traffic congestion. Spokesman Brian Brackens says the exercises feature simulations and responses to situations that might include medical emergencies and an active shooter scenario. People living near the base should expect to see and hear more emergency response vehicles during the exercises. The 8,100-acre base is the largest military installation in the state and has more than 27,000 employees. The Miami Valley's Military Veterans Resource Center (MVRC) is hosting its third annual job fair for active duty service members, veterans and their family members on Thursday. More than 50 military-friendly employers are taking part in the event, according to Abby Reynolds with the MVRC. 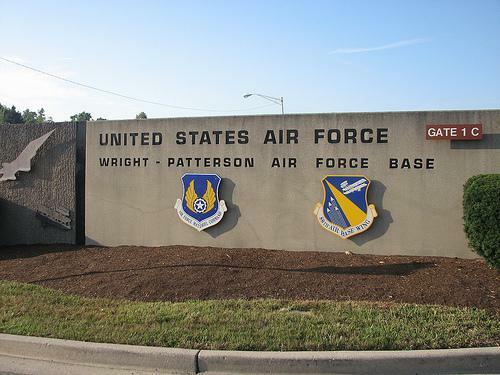 CINCINNATI (AP) — Federal authorities have filed charges against a man they say ignored guards' instructions to stop at a Wright-Patterson Air Force Base security gate, prompting evacuations at Ohio's largest military base. Officials at the facility near Dayton say charges were filed Wednesday in U.S. District Court against 32-year-old Edward Novak, of Beavercreek. Authorities say Novak on Nov. 24 also entered a secure building without authorization before he was stopped. They say he didn't have a weapon. Wright-Patterson Air Force Base is partnering with a jobs agency to hold a job fair featuring more than 100 Ohio employers. Wright-Patt and Ohio Means Jobs Montgomery County will hold the fair Wednesday at the University of Dayton arena in southwest Ohio. A Wright-Patterson statement says the public fair will feature employers from around the Miami Valley region who are hiring for full and part-time positions. Opportunities are available for a variety of education and experience levels. Officials at Wright-Patterson Air Force Base say a man ignored guards' instructions to stop at a security gate, prompting evacuations, but that Ohio's largest military base has been determined safe. Daryl Mayer, spokesman for the base near Dayton, says the man drove through the gate area around 9:40 a.m. Tuesday. A base statement says security personnel pursued the driver and located the vehicle parked outside a building. They then cordoned off the area around the vehicle and evacuated some nearby buildings.